Picked up my new custom 10'6" from Mick at Surefire today. It's a carbon/inegra construction, finished in my favourite colours. This is the third board Mick has done for me and if it's half as good as the other two, I'll be a happy man. Weighs in at 9.6 kg without fins. Nice shape ....and very light ... colourful.or what. and that brings your board count too..? 5 maybe .ha. 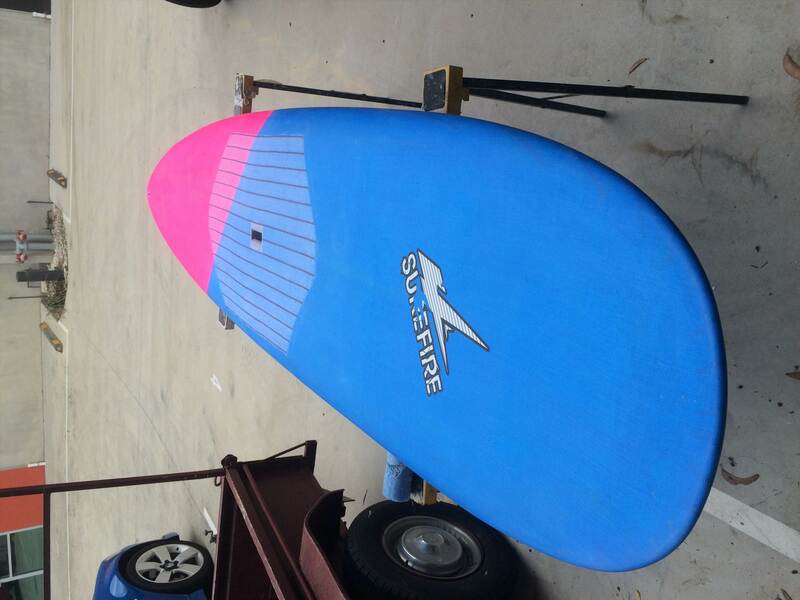 enjoy.looks like a good all rounder.for waves . 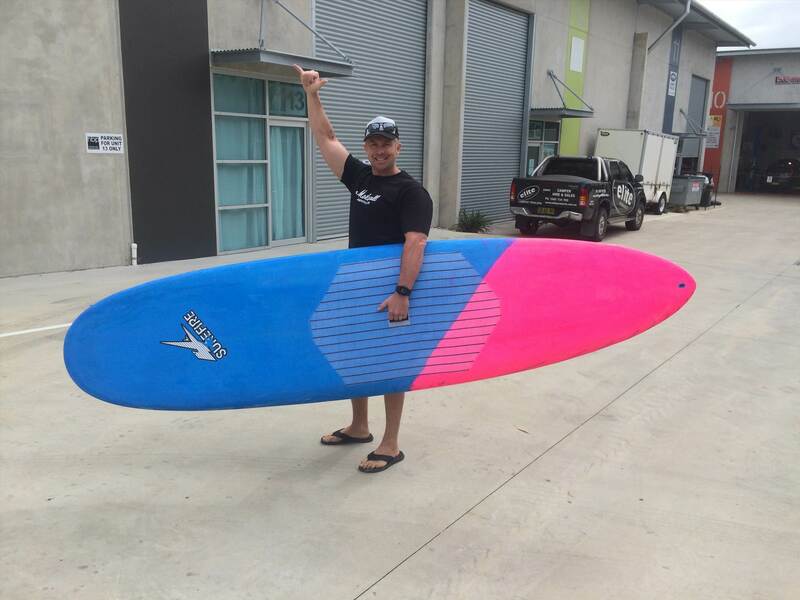 Nice wave catching machine..is the cut out on the deck for your grip or will it be waxed? It's just an extra carbon patch for the standing area. Nice Zman, reckon you're gonna have some fun on that. Keep supporting the locals mate. 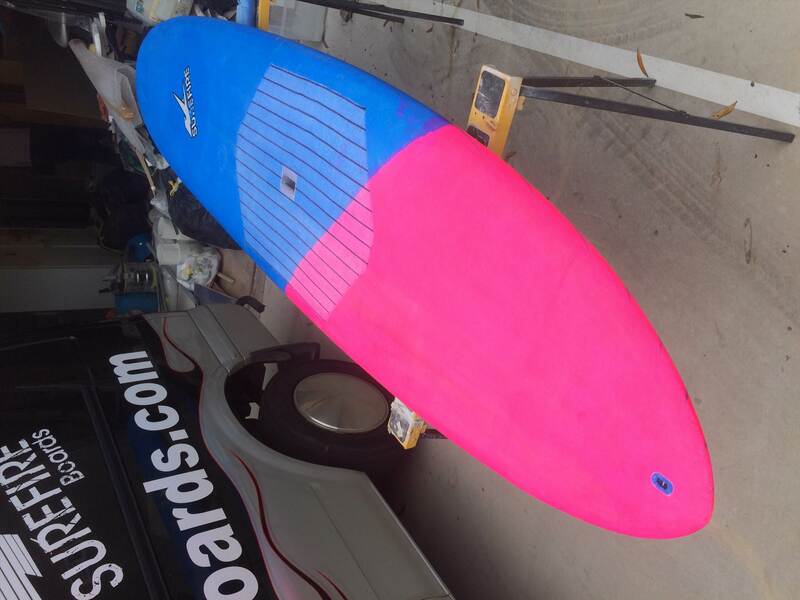 Great looking board Zeus..... shape and color! 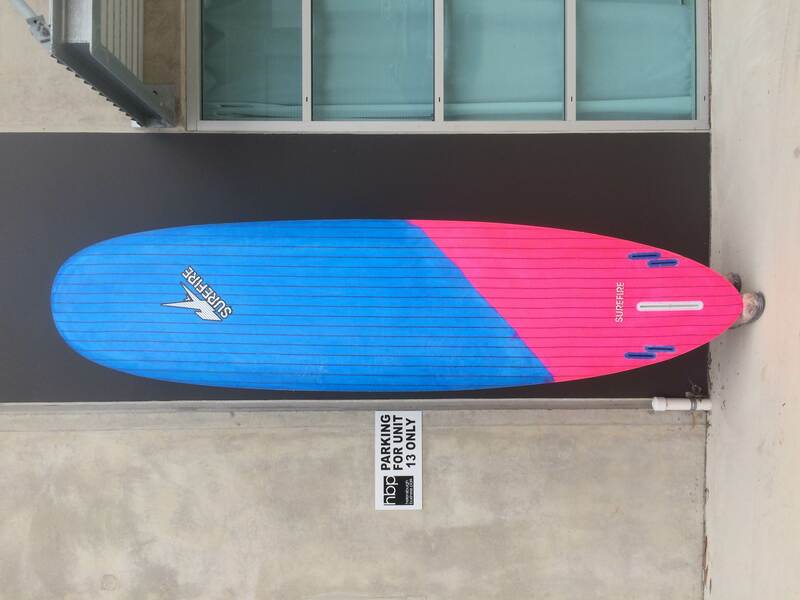 Tardy, this is the third board i have ordered through Mick. All three are in these colours. I couldn't be happier with his products. One day I'll put them all together for some pics and a review. Looks like a foamie to me? Nice one Z'man. Whats the $$ damage? What is the time frame from order to delivery? Do you have any IP on the colour scheme? Great looking board zeusman, also great advertising for Mick ! 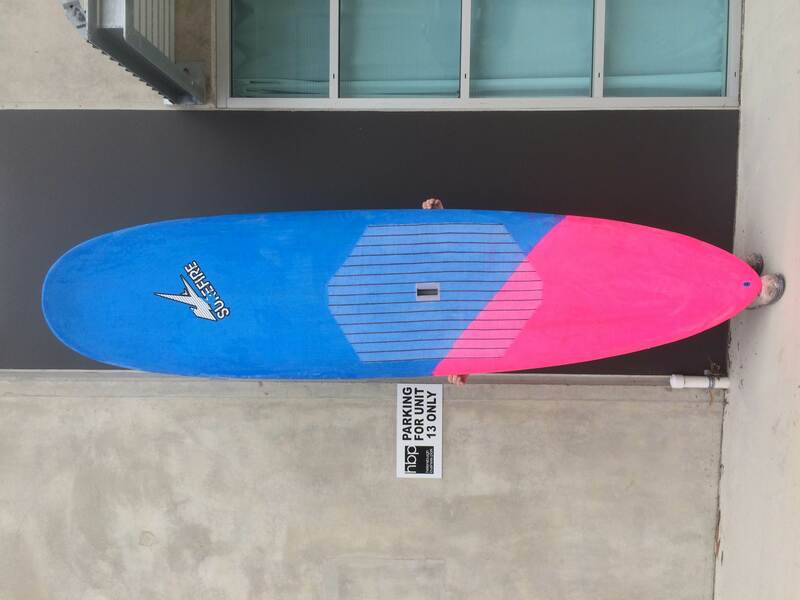 After searching/shopping around for a few months, after seeing your post I just ordered my first ever sup through Mick yesterday. Can't wait to get it !! Good lookin stick, a Nalu pin/lite! Cool ..might have to get in touch ..I want a carbon 10' 150 litre ..it will have to be a custom .. Fantastic Kookie!!! What did you order? 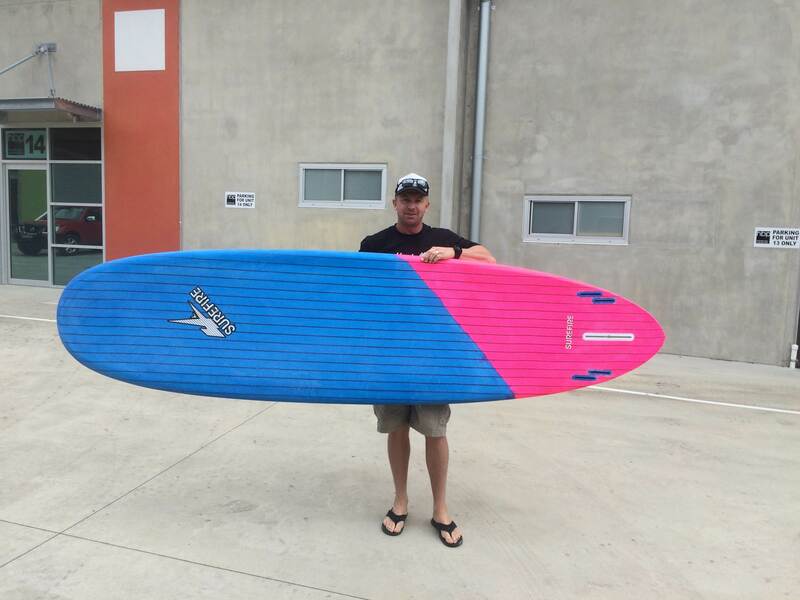 I ordered his last sub atomic 11'6 with the timber construction. Should be good fun for my first board. He did me a nice package deal with paddle etc to get me started too !! I've had a few surfs on it now. Conditions were pretty much the same each time. Clean 2ft plus rights. The first couple of waves the board just felt right immediately. Just getting into the flow and gently letting the board float up and down the face standing in the middle of the deck. After a couple of those I took off a little deeper and used the tail to carve a few turns. With my foot on the tail pad the thin tail and rails were very responsive, making the big wide nose come around very easily. Swing weight was very low too. Once in a while a bigger set came through and I more often than not found myself a tad too deep. Take off and point down the line mid drop and pump rail to rail from mid deck again and the big girl accelerated surprisingly well. Make the fast section with ease before cutting back at the bowly section in front of the lifeguard tower. Trim the board again and being my stylish shuffle toward the nose I've mentioned before that my nose riding skills are nothing to be desired and nothing has changed. The wide nose and concave had me feeling very stable up there though. Happy as a proverbial pig with this board. Mick has made me a happy SUPer 3 out of 3 times now.